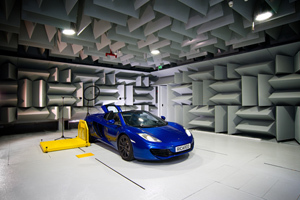 With international regulations set to require unprecedented reductions in exterior noise – and automakers striving to achieve the ideal sound character for their new products – Ricardo’s significant upgrade of its Vehicle Anechoic Test Facility (VATF) at the Shoreham Technical Centre will expand the range of vehicles that can be tested, and represents a significant enhancement of refinement service. The Ricardo VATF has been the development and test environment responsible for some of the most iconic vehicles engineered by Ricardo in support of its customers’ new vehicle programmes. 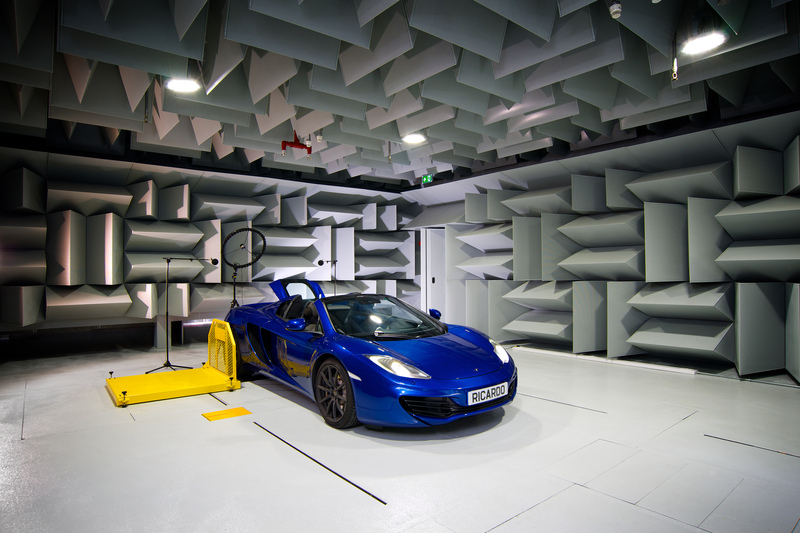 Originally commissioned in 1993, the facility enables vehicles to be tested for their noise and vibration performance in a highly controlled environment, with full motoring and absorbtion via an integrated chassis dynamometer (rolling road). In the upgrade just completed, the VATF has be installed with a new 344 kW chassis dynamometer, vastly expanding the range of vehicles that can be tested in the facility. In terms of control architecture, the system has been comprehensively upgraded with full transient and enhanced steady-state capabilities, allowing new drive cycles and control with road load simulation. 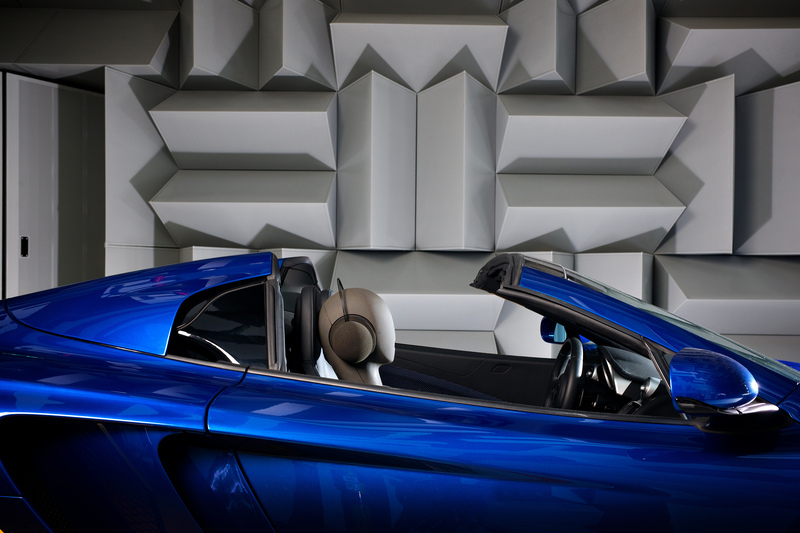 In addition, the original anechoic cell ‘wedges’ have been completely stripped out and replaced with the latest Metadyne wedges, which are more durable and conform to the latest international standards. “Vehicle refinement has never been more important than it is today,” commented Ricardo manager of NVH Simon Tate. “The major international markets are facing unprecedented future requirements to make vehicles quieter in terms of exterior noise, while automakers are also perceiving the importance of creating the ‘right’ noise signature as a crucial driver for future sales. This is not just for niche, high performance vehicles, but is increasingly the case for mainstream products aimed at differing local and regional international market tastes, and especially so for alternative powertrain vehicles such as plug-in hybrids and electric vehicles.